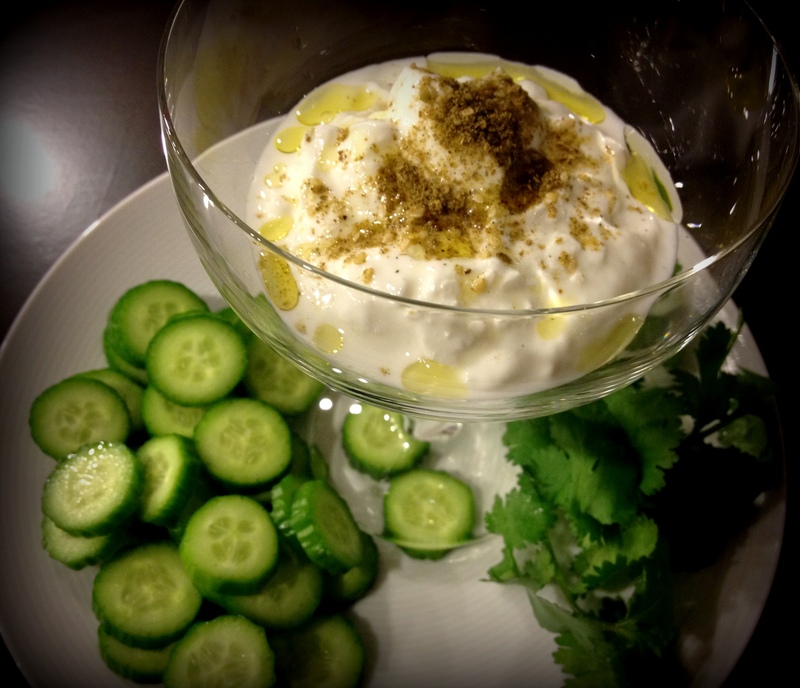 In the Middle East, strained yogurt is known as labneh. Together with za’atar and olive oil, when I travel to Israel, it is one of my favourite breakfast choices each morning – along with all kinds of delicious salads, Israeli cheese, flatbreads and all kinds of fruit. Za’atar is a spice mix which varies depending on who is making it. But the basics always include various proportions of sesame seeds, sumac and herbs such as thyme and oregano. But I’ve decided that I can enjoy it at home too – even though the scenery is not quite the same. And don’t save it just for breakfast. Enjoy it at lunch or as a snack – either with a spoon or as a dip. Place yogurt in a small bowl. Top with coarse salt and za’atar and drizzle with the olive oil. Have you tried za’atar? How do you use it? Please share in the comment section below. ← Oil pulling – is it the newest snake oil? Do you have a recipe for za’atar? I don’t have one that I use. I have used a number of different prepared mixes from Israel – all of which are delicious. But I may try to whip up my own soon! I will post it if I do. I received za’atar for the first time this past Christmas from my brother-in-law and was just this morning watching Giada’s cooking show on the food network and she made this. I was so happy to find this recipe! I got a bit heavy handed with the za’atar so I added just a splash of lemon juice to the mixture and OMG it is amazing! My husband is grilling chicken for dinner so I just had to make this! My pleasure, Gretchen! Za’atar is indeed amazing! I love it too! Enjoy your gift. I have a bottle of ARZfinefoods Za’atar which I use, but I recently purchased The Complete Mediterranean Cookbook (America’s Test Kitchen) which has a very simple recipe for Za’atar… should I ever need more. Sprinkled on flatbread brushed with olive oil and toasted. Yum! It’s amazing how many different za’atar mixes are out there! Let me know how your version turns out. I have purchased Za’atar and made my own, all delicious indeed. Have you seen the ‘zatar’ Herb that Ottolenghi talks about ? Is it just a wild thyme?Does it smell like summer savory? The herb that Ottolenghi is talking about is also called wild hyssop which is similar to a wild thyme. If you ask chefs in Israel about za’atar, they will agree with him but when you go to buy za’atar in a store in Israel, they usually have their own mix of spices and herbs, not just the hyssop. But one thing’s for sure: it is a wonderful way to season food! That’s interesting, I used to grow a form of hyssop in my herb garden to attract bees. Never thought of using the leaves, as I remember they were bitter and kind of skunky, musty scented.